But now! 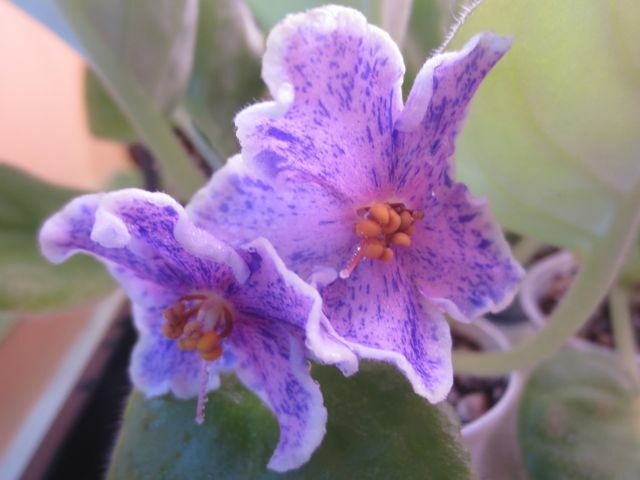 Let's have some more African violet fun! This is 'Irish Laughter'. I've always been a big fan of the green flowers and this one has it all! 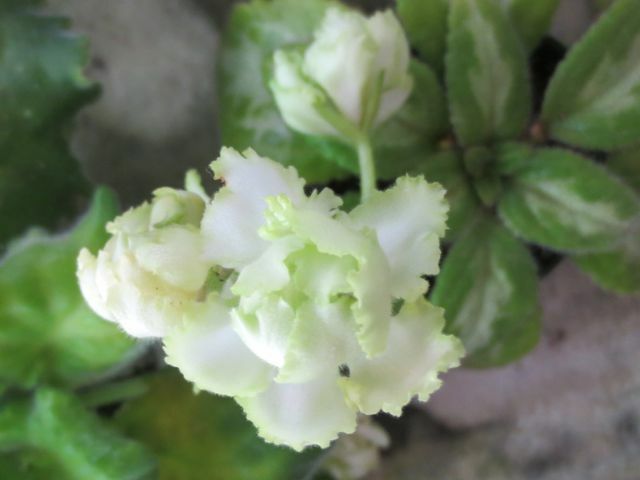 It's got the really nicely frilled double flowers, with a wavy edge of bright green! 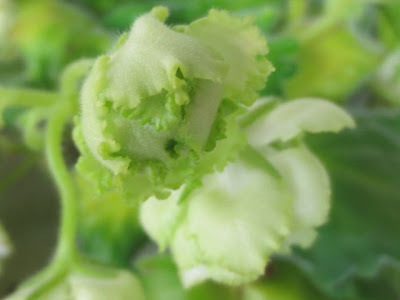 It's also got lots of blooms even when the plant is relatively small. My grandma was going to violet meetings in the 60's and 70's when they were just dreaming of green blooms. It was one of her biggest wishes to get a hold of one something like this. 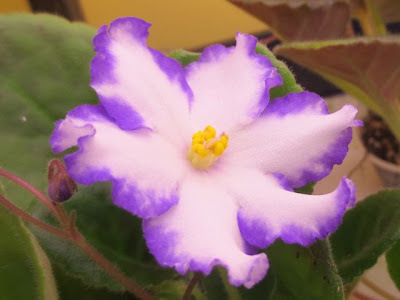 This one is in a pot that says 'Arctic Frost'... haha. Someone has been mixing up the labels again and I'm going to blame the cats. Nonetheless, it's bright and pretty in the middle of a cold day in winter. I only had two of the aging blooms of 'Splatter Kake' left but I like to think this has all the mutations anyone would ever want. The Geneva edge, the fantasy speckles, the star shaped bloom etc. It's hybridized by Bann, a Minnesotan too! Not bad eh? And we do answer questions too! Thanks for the patience.